Buying Nam Varn Khao Lod Chong (Tapioca Flour Noodle in Sweet Coconut Milk) at the local market in Vientiane, Laos. 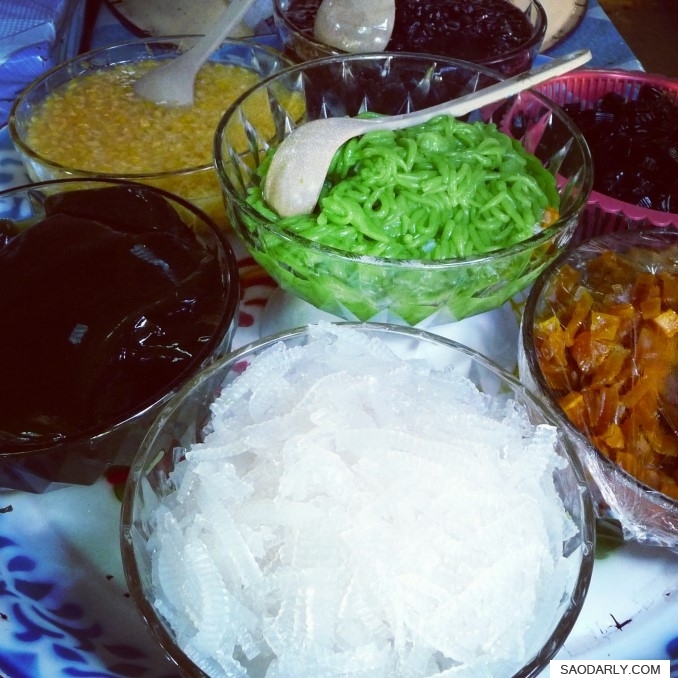 Whenever I go to Laos, I like to have this dessert once or twice during my time there. I usually have it after lunch or dinner. 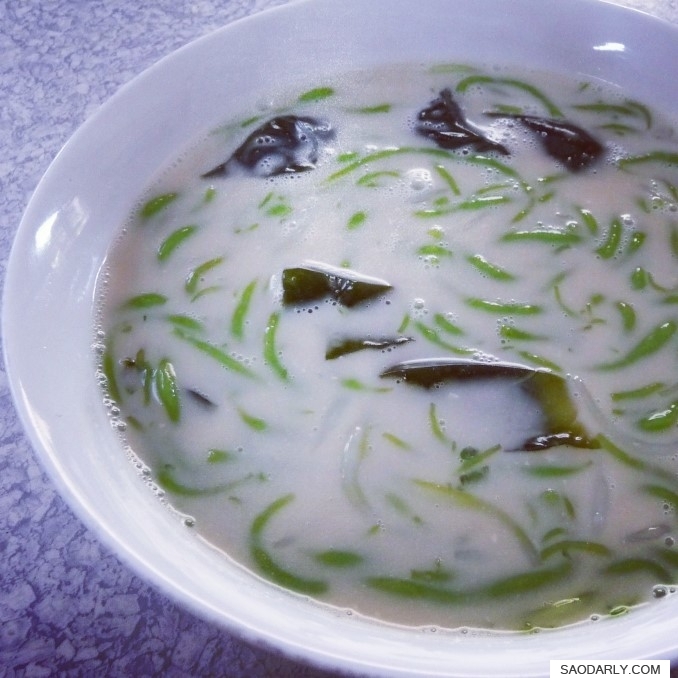 On special occasion like Boun Pi Mai Lao (Lao New Year) in April, my relatives would make this to have after breakfast.